The Falling Carpet Mouse Mouse is a breed of mouse found in the Sandtail Desert region. These mice are often seen plummeting from the sky toward a hunter's bait. It's unclear if their intentions are to damage traps with a collision, or if they simply forget to "pull-up" in time. Despite their air-acrobatics, one thing is clear: Falling from the sky is often not favourable for the mouse. The Falling Carpet Mouse has no specific preference for any kind of cheese. 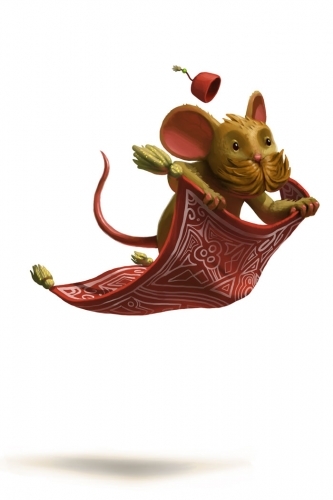 Falling Carpet Mouse was introduced on 2 June 2011 with the release of the Muridae Market location. This page was last edited on 9 April 2017, at 00:29.